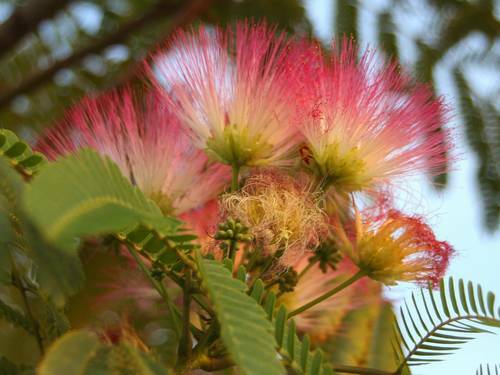 Not really sure what this little tree fowers are but they are very colorful........look like tiny red wiskbrooms. You're right, Alandra, about it being the mimosa. They have them here and sometimes call it the "sensitive" plant because if you touch the leaves they fold up. Nice color shot of those strange flowers. Beautiful little flowers, so soft looking!